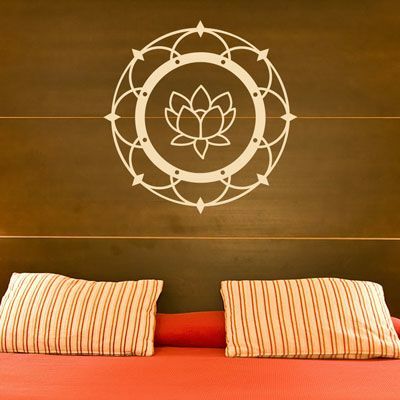 We love this lotus blossom wall decal! Perfect for your calm and peaceful getaway, or even your yoga studio! Generally, our wall decals are ideal for bedrooms, playrooms, gyms, offices, living rooms, entryways, classrooms, even your car or glass shower doors! This beautiful and serene decal comes in one piece, ready to apply! I am so pleased with my decal! I bought the moon phase decal, and used it on a painted canvas. I am so pleased with how it turned out. Thanks so much!